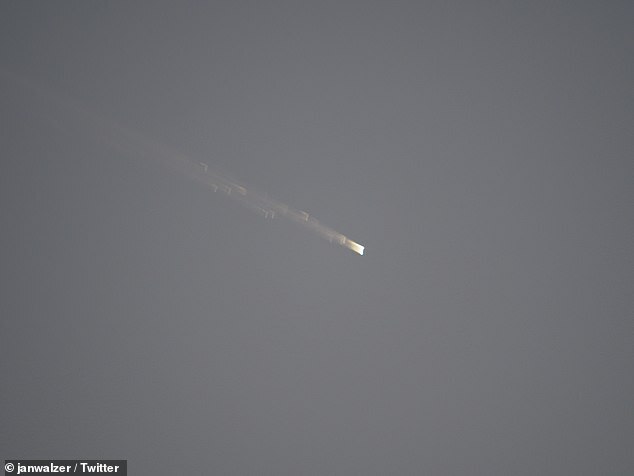 Skies above New Zealand lit up by a ‘mystery’ object – so is it a meteor shower or just space junk? 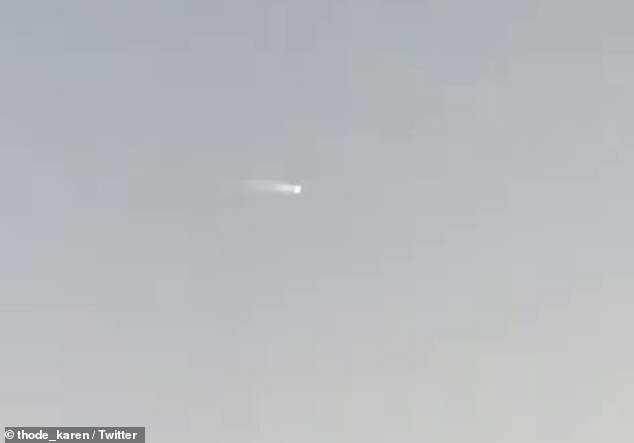 This is the incredible moment an object flew across New Zealand and lit up the sky, as experts claim it’s a meteorite. Residents scattered across the country’s North Island reported sightings of bright lights zooming through the sky at 9pm. Many were unsure whether the falling object was a piece of space junk re-entering the earth’s atmosphere, or a possible meteorite. President of the Auckland Astronomical Society Bill Thomas told the NZ Herald he found it more likely the object was a meteorite. People around the country managed to catch a glimpse of the mysterious object, with many managing to capture it on camera. Graham Billings was enjoying dinner at an Italian restaurant when he saw the light fly across the sky. ‘It was definitely a meteor. I wondered what it was for a bit but we can still see the smoke trail,’ Mr Billings said. In Whangamata, Jen Maloney and her friends saw the object light up the sky twice, once at 8.55pm and another one 15 minutes later. Ms Maloney described the light show as green, beautiful and dramatic, leaving a ‘singe’ smell afterwords. One couple were in Auckland discussing the dangers of the use of drones when they looked up to the sky and thought they spotted one. What May and Brian Seager actually saw was the meteorite whizzing through the sky above them. More than 400 kilometres south, Steve Bloor saw a dazzling display in Napier. Mr Bloor said when he saw the object – that he first believed to be a jet plane – it exploded into millions of pieces, like fireworks.